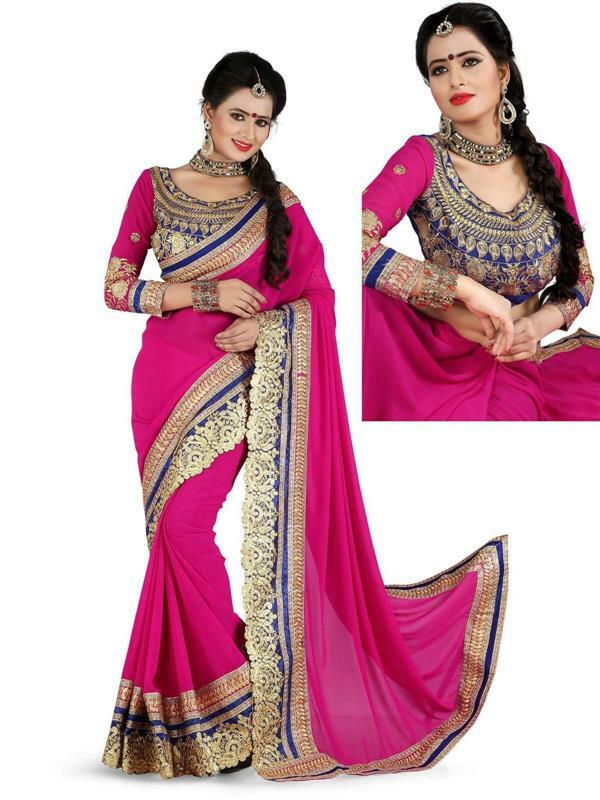 Do you wish to be the center of attraction in any event...Here is the apparel that draws you to your yearnings. 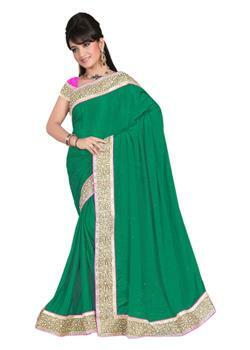 The sea green plain silk saree beautify with rich golden border and green stones in entire saree. 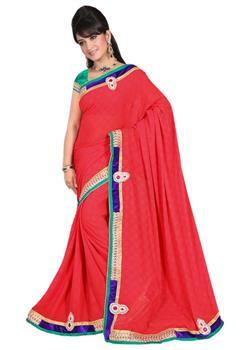 The border embroidered with heavy kasab embroidery work, attractive golden less and diamond-moti work. It comes with matching blouse fabric.